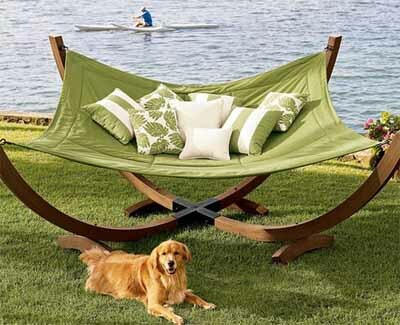 After nailing down beautiful landscaping ideas, you can decorate your backyard with a hammock chair, a portable hanging bed or maybe even two items. You can place a swinging bed in shade or in the sun to create beautiful outdoor living spaces and create a charming yard for comfortable, stress-free living. A hanging hammock or a freestanding model complements any backyard design, adds a relaxing feel to decorating and accentuates landscaping ideas. Summer beds are ideal for cozy spots where you want to spend much of your time in summer. 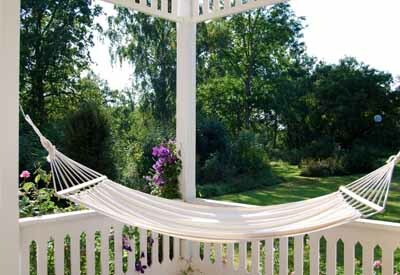 Well-placed hanging hammocks or freestanding beds and hammock chairs are functional, stylish and beautiful yard decorations. 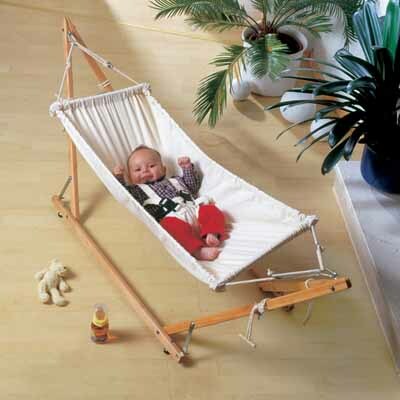 A portable hammock multiplies the fun of spending time outside and adds to the enjoyment of backyard design. 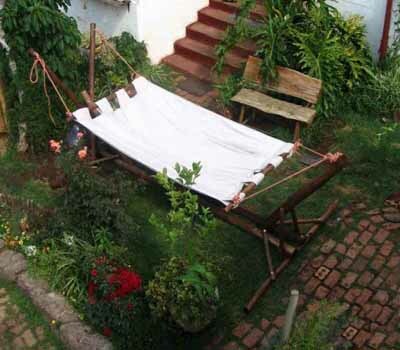 Hammocks are versatile and work well with all landscaping ideas. Hanging between trees or a freestanding hammock is a playful and comfortable decor item that turns backyards into inviting retreats. Adding patio furniture pieces and a freestanding hammock to your yard design is a straightforward and inexpensive idea that requires only space. It makes outdoors look charming and welcoming. Hanging a swinging bed in a secluded area where you can see the best parts of your garden creates a tranquil retreat to relax in beautiful surroundings. 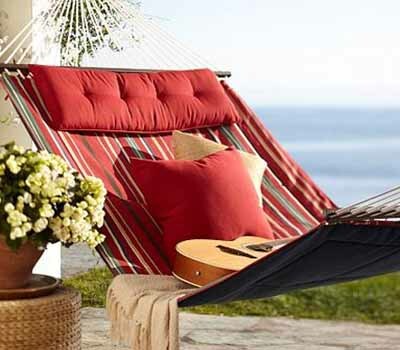 Hammock chairs and large bed designs are fabulous outdoor decorations which make outdoor living spaces more enjoyable, functional, inviting, and personal. You can choose a spacious and elegant style for your backyard or to use fantastic, exotic, and exciting ideas. 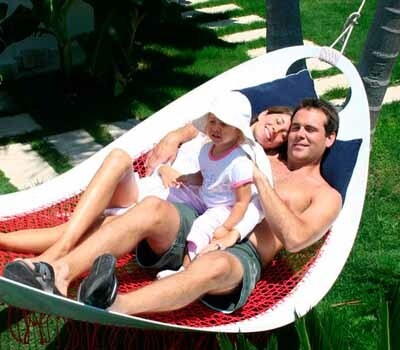 Unusual hammocks are unique yard decorations which are perfect for personalizing your home. Attractive outdoor pillows in various colors, a light throw, and blooming outdoor plants in containers or nice pots make welcoming accents for your patio or backyard decorating. 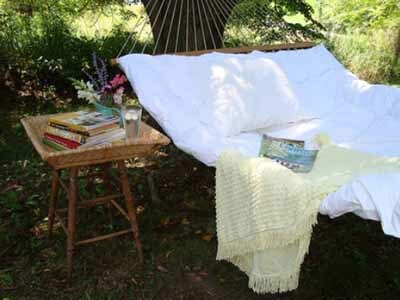 Simple yard decorations and functional pieces, like pillows and throws, create a pleasant atmosphere and add coziness to your charming hanging bed. Designers from Turkey Pinar Yar and Tugrul Govsa with GAEAforms, gaeaforms.com/, developed a contemporary swinging bed for enjoying the summer in style. 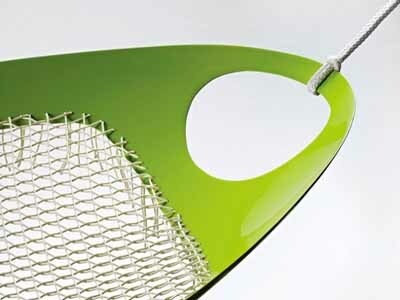 Inspired by nature, the Leaf Hammock adds bright green color and ergonomic shape to outdoor home decor, bringing beautiful giant leaves into backyard designs. The bed is shaped like a long leaf of an exotic tropical plant and can add a splash of fresh foliage color to your porch or patio. The leaf-shaped bed can make any deck or garden look more attractive and cheerful while adding contemporary flare and style to backyard design. According to Turkish designers, the Leaf has the first ergonomic frame which is super comfortable. Perfect for indoor and outdoor home decor, the new bed is ideal for short rest and good night sleep. The light, ergonomic, and stylish frame is large enough for two people. The bed is made of durable ship ropes and contemporary composite materials. 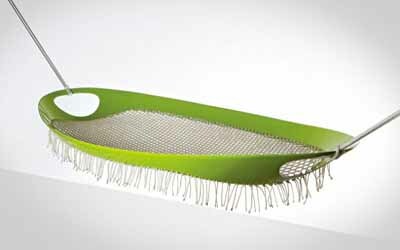 A unique weaved mesh can hold up to 180 kg (about 400 lbs).